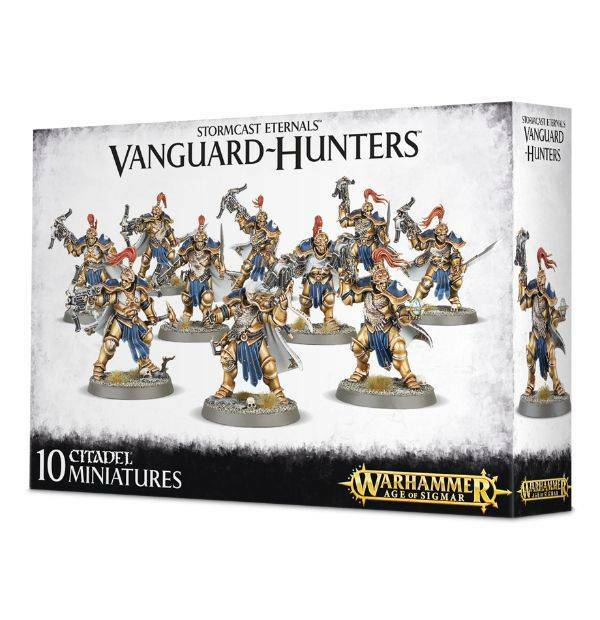 Bold raiders and expert scouts, the Vanguard-Hunters are the elite infantry of the Vanguard Auxiliary Chambers. Battle-hardened veterans, they are experts at using the terrain to their advantage. Their daring guerilla raids necessitate constant movement – more than once has a thought-unassailable position been scaled and destroyed by a band of Vanguard-Hunters who have made themselves invisible during the madness of battle. 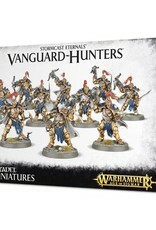 Their weapons suit their role – heavy-bladed swords and short-hafted axes cut through brush, briar and flesh, and boltstorm pistols are easy to fire on the move.